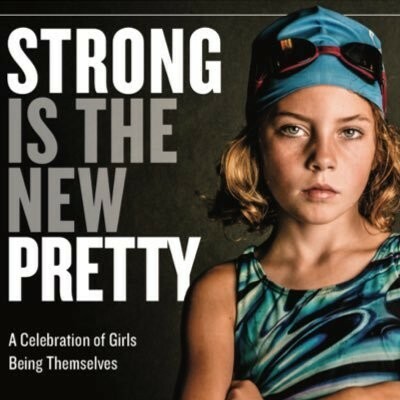 This photo-journal is a collection of girls of all ages exhibiting all sorts of strength: confidence, kindness, independence, creativity, and more. I was drawn to the book during my mini-retreat to Minneapolis a couple weeks back because of the cover photo. As a former swimmer, I tend to get pulled in by these sorts of photos, and I loved the premise of the book. As a collection, it definitely delivered. So much is represented here. Athletics, dance, mud, teamwork, illness, color, religion, music, ability… Each photo is accompanied by a quote from the girl pictured. Some are profound, some are silly, and some fall everywhere along that spectrum. It was a lovely celebration, and I’m happy to have the book on my shelf. This entry was posted in 2017, Adult, Visual and tagged collection, gender studies, mini-review, nonfiction. Bookmark the permalink. I love the sound of this. Photo journals always fascinate me, especially if the focus is on strong females.